Taking control of your investments is simple if you have the right tool. 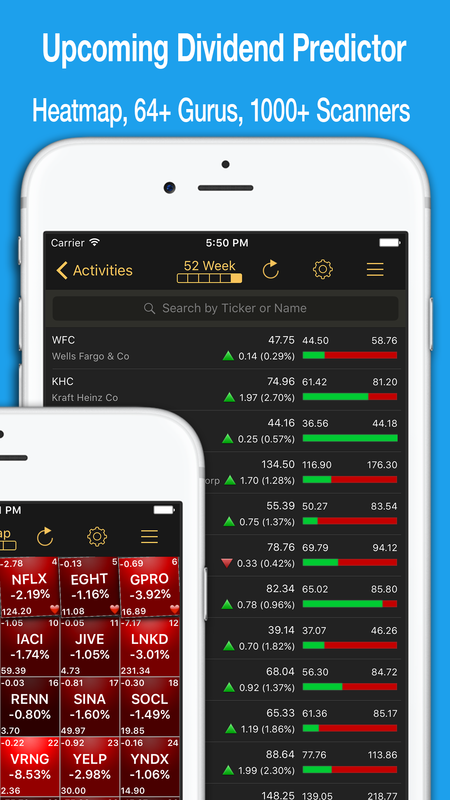 Stocks Live is the only financial app you will ever need. Using a variety of financial quoting and news sources, including NASDAQ.com, CNBC, Morningstar, Zacks, Yahoo Finance, Bloomberg, and Reuters, we put the power of information at your fingertips. 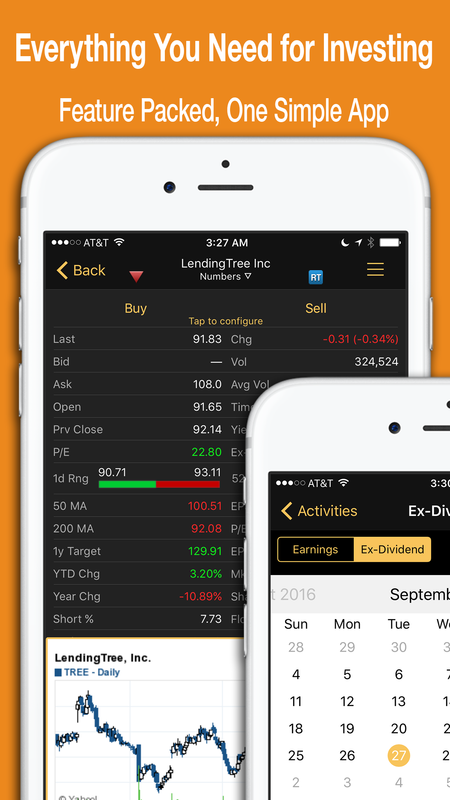 You can also link Stocks Live with your accounts at major brokerage firms, so you can create unlimited portfolios, run what-if scenarios, and execute trades in a flash.With Evernote integration, you can jot down your thoughts, record audio clips or capture charts for any stock, mutual fund, or ETF and then save them to the Evernote cloud. 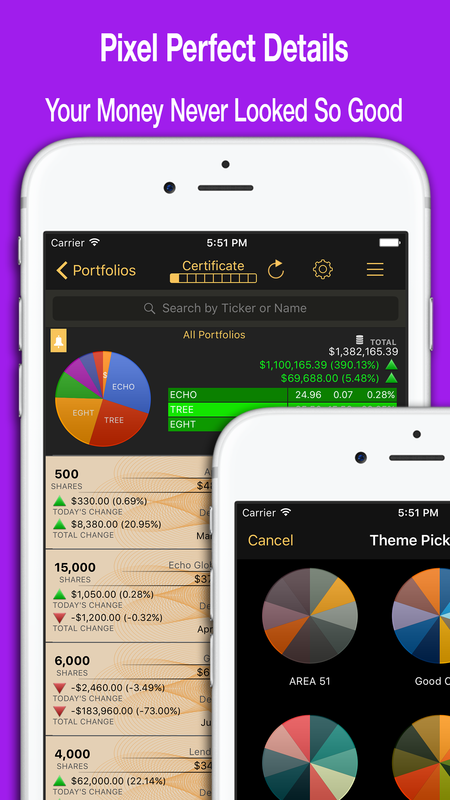 All your notes are organized using stock tickers as tags so you can quickly retrieve them on any device, any platform. 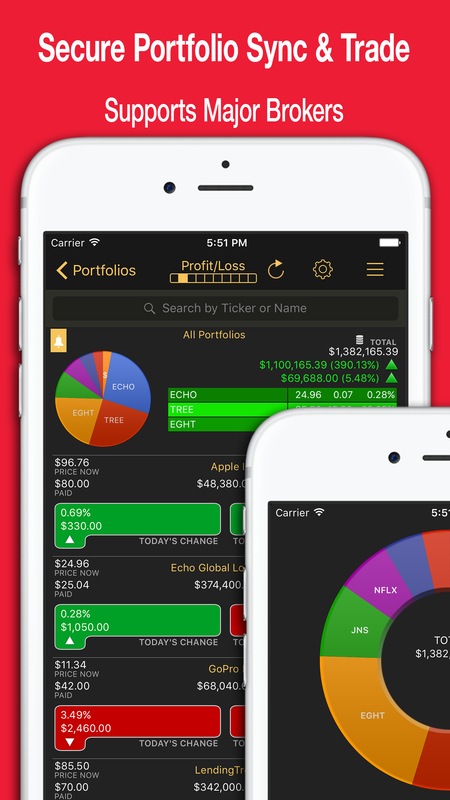 With improved Evernote integration, now is the time to make Stocks Live your daily "go to" financial app.